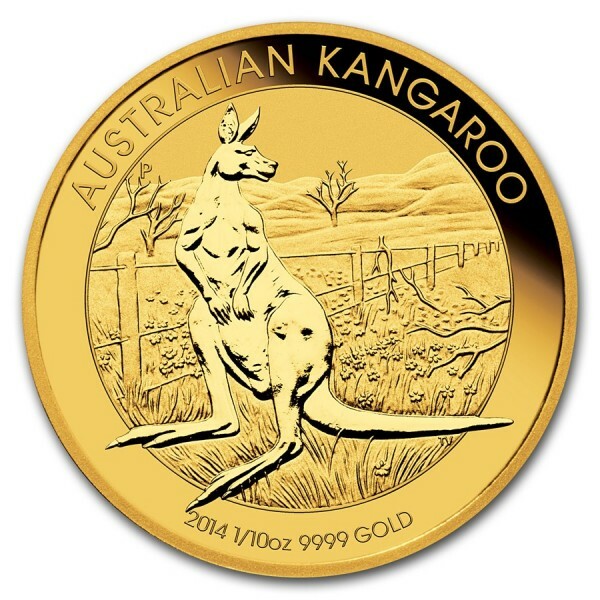 Gold Kangaroo coins feature a new design each year, making them great for collecting. The 2014 1/10 oz Gold Kangaroo features a kangaroo in a classic pose set against a field of wildflowers. The "P" mint mark, appears on the reverse of each coin, along with the inscription "Australian Kangaroo," the date, the size of the coin and the purity of "9999 Gold." 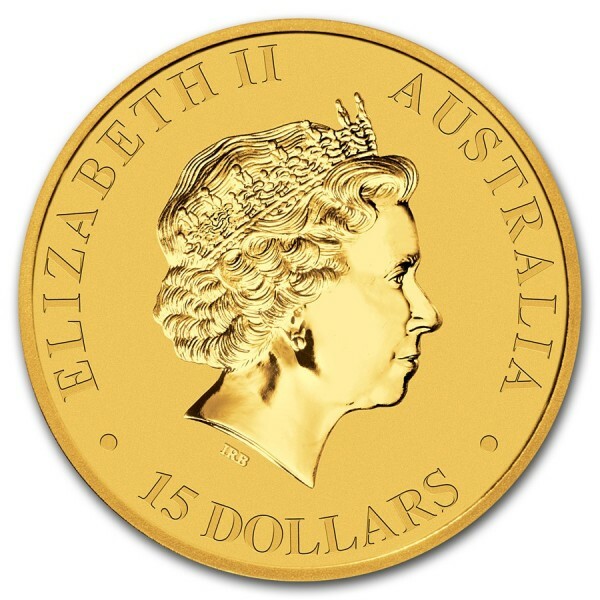 The obverse of each coin shows the Ian Rank-Broadley likeness of Queen Elizabeth II, as well as the coin’s monetary denomination, $15 AUD. This beautiful Gold Kangaroo contains 1/10 ounce of .9999 Gold! The maximum mintage of this Gold bullion coin is 200,000. Each Gold Kangaroo coin is held in a plastic capsule.